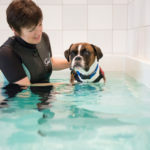 Therapeutic Handling techniques help your dog work together with us to achieve the best land based assessment. We then devise a specific treatment programme and home plan following our discussion and agreement how best to progress forwards. Clients consistently tell us they choose K9HS because they love the way we bond with their dogs using Therapeutic Handling and Movement Enrichment techniques. 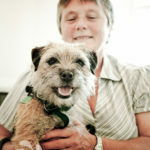 We care that your dog trusts and works actively with us, resulting in amazing results and positive outcomes. 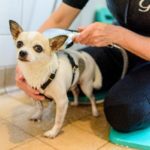 We re-assess every session and use a range of canine outcome measures to monitor and record your dog’s progress, ensuring the treatment is effective and meets the goals we discussed and agreed with you.